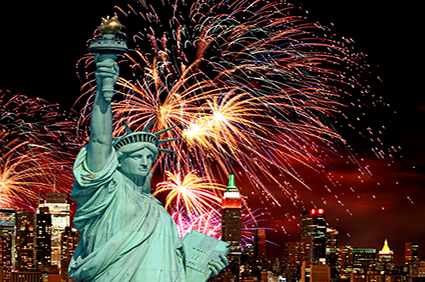 New York City: - New York is a better place to enjoy the party. Most famous is the annual gathering of a million people in Times Square to see famous musicians and the ball drop in which a 12-foot-wide crystal ball weighing nearly 12,000 pounds descends atop One Times Square. You can also enjoy an unforgettable night crawling the city’s world-class bars, restaurants and clubs. Rio De Janeiro: - Rio is best known for its Carnival festivals. 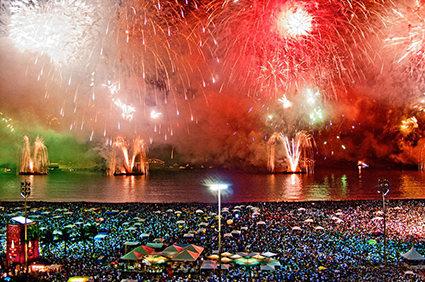 The Iconic Copacabana Beach hosts the world’s largest and wildest New Year’s Eve party in which more than two million people participate. This uniquely Brazilian celebration that blends religious, traditional, and superstitious beliefs is also known as Reveillon. Locals dress head to toe in white and toss handfuls of flowers into the ocean as gift to Yemanja, the goddess of the seas. The celebration also includes oceanfront stages for live musical and dance performances, and a colorful fireworks display at midnight. 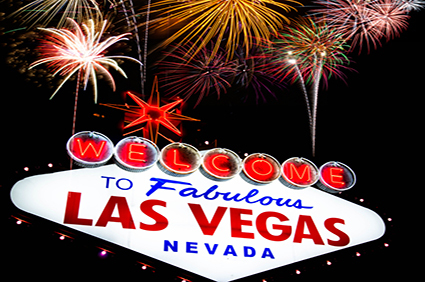 Las Vegas: - Las Vegas hosts one of the biggest parties of the year. The entire Strip is closed to traffic and open it for the massive block party holding 300,000 people. Take your pick: the free for all, nightclub-strewn Strip or the 21-and-over Fremont Street Experience with three stages and nine hours of live bands; both are closed to traffic. Listen to the crowds roar at midnight when fireworks erupt from casino roofs around the city. 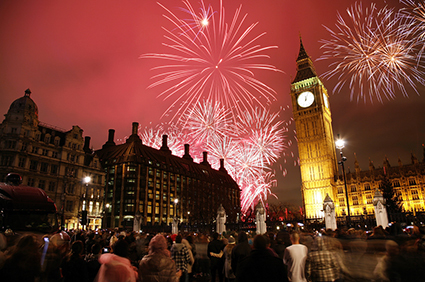 London: - Londoners ring in the New Year using the world’s most reliable clock—the monumental Big Ben. If you can’t hear the bell at midnight, there are crowd of thousands of people who have taken over the streets to celebrate, plus the blasts of an eight-minute fireworks display at the London Eye. 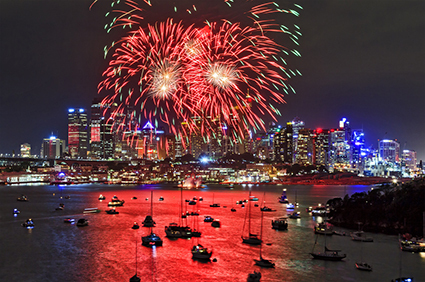 Sydney: - Sydney New Year’s Eve is renowned globally as one of the most spectacular eve in the world. There are two major factors first is its location and second is its largest firework, one at 9 pm and other at mid night. 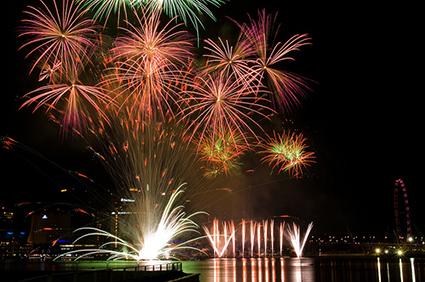 More than a million people attend the waterfront show, which also includes an air and water show featuring aerial acrobatics, an Aboriginal smoking ceremony that is said to cleanse bad spirits, and the Harbour of Light Parade, a mass flotilla of more than 50 illuminated boats in the harbor. 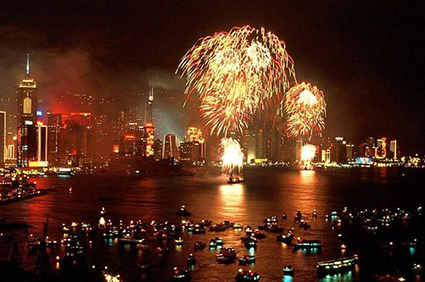 Hong Kong: - One of the world’s most dramatic skylines light up every year with great firework. During the holidays the city is even more vibrant and colorful. There really isn’t a better place in the world to celebrate the holidays and spending New Year’s Eve 2015 in Hong Kong is sure to be amazing. Goa: - Asia’s most outrageous beach party attracts many people around the world. Beeline to Anjuna Beach, one of Goa’s exceptional, never-ending beaches to guzzle drinks and watch the obligatory fireworks display at midnight. So 2015 New Year’s Eve is the best time for partying in Goa, with NYE fireworks and celebrations all along the coast of India’s good time state. Are you looking for cheap flights to worldwide destinations check out here: http://www.travelation.com/ Also you can call us @877-247-7183. We will be happy to help you.